Thoughtfully designed and well built, the SW271 is a 27-inch matte screen desktop monitor with 16:9 aspect ratio and 3840 x 2160-pixel (UHD) native resolution. It is ideal for video editing but still meets most of the criteria needed for editing still images. We found its initial brightness was more than double the ideal brightness for image editing. Fortunately, the screen is easy to adjust and, despite some unevenness in light distribution, otherwise it is good enough for serious photographers. 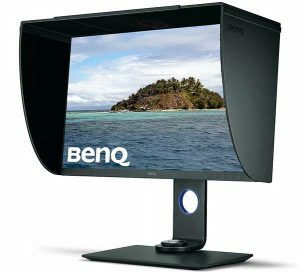 While it doesn’t match the even performance of equivalent (but far more expensive) Eizo screens, its colour accuracy and tonal response in the Adobe RGB colour mode are good enough to justify recommending it. It helps that the asking price is roughly half that of the equivalent EIZO screen. The SW271 is easy to assemble and provides all the interface connections most users would need, including an SD card reader and headphones jack. The matte Anti-Glare screen coating and flicker-free technology make it easy on the eyes and the 5-millisecond response time ensures smooth display of video content. A shading hood is included in the packaging, along with an individual calibration report, which shows each screen has been separately calibrated before leaving the factory. The monitor can be rotated through 90 degrees when mounted on the supplied stand. 1. 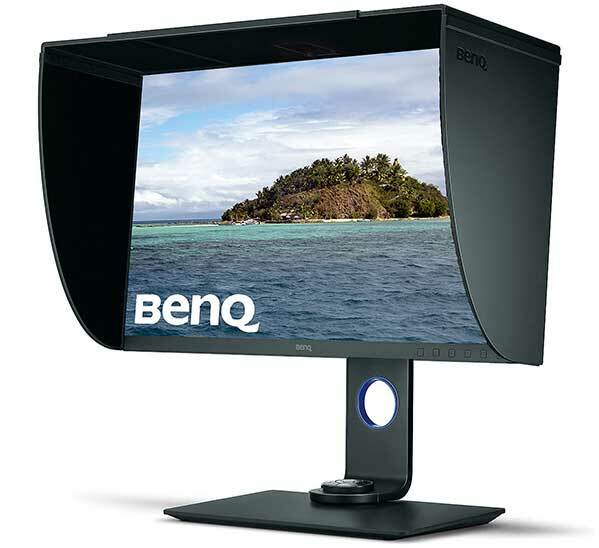 Roughly half the price of the equivalent EIZO screen but with higher resolution. 2. 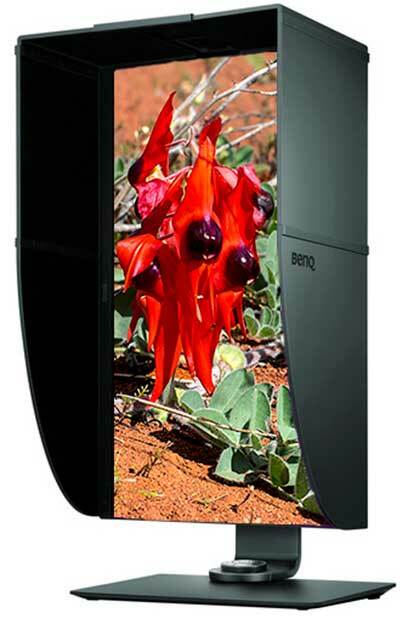 A wealth of on-screen adjustments for brightness, contrast, sharpness, colour temperature, gamma, colour gamut, hue, saturation and black level plus eight colour mode pre-sets. 3. Supplied with all the necessary cables plus a shading hood, Hotkey Puck and two-piece stand. 4. Supports hardware calibration with X-Rite i1 Display Pro, i1 Pro and Pro2 colorimeters as well as Datacolor’s Spyder 4 and 5 models. 5. Free Palette Master Element calibration software supplied on CD and also available for downloading.